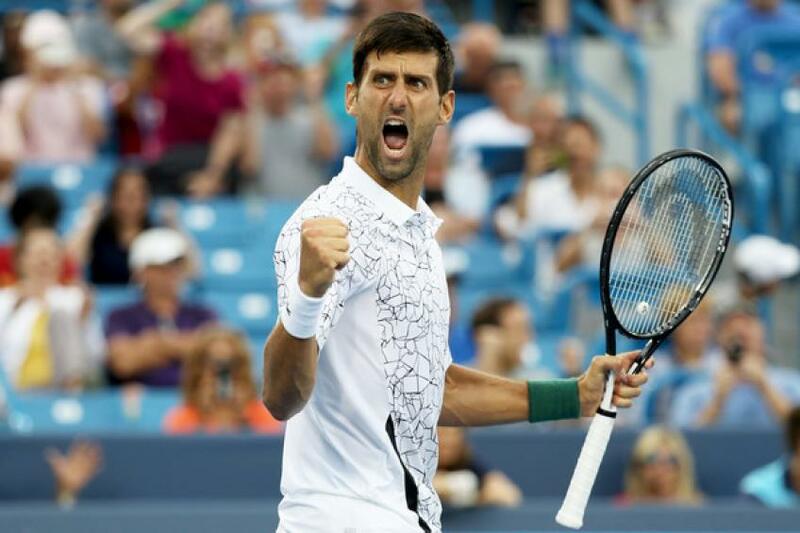 Novak Djokovic ended a career-long jinx as he completed a matched set of Masters 1000 titles Sunday with a 6-4, 6-4 victory over Roger Federer in the Cincinnati final. The former world number one became the first man to win all nine of the ATP’s elite Masters 1000 events since the ATP was formed in 1990. Federer, a seven-time champion in Cincinnati, lost a final in the hardcourt US Open tuneup for the first time. In addition, his streak of 100 straight unbroken service games in Cincy was ended by Djokovic in the seventh game of the first set. The 37-year-old Swiss had been aiming for a 99th career trophy, but was unable to get over the line due in part to four double-faults at the most inopportune of times. “Thanks for letting me win here once,” Djokovic joked to Federer at the trophy presentation. “I didn’t play my best tennis today, but I managed. “It’s been a roller-coaster week,” he added after players dealt for days with lengthy rain interruptions. Wimbledon champion Djokovic claimed his Masters record on his first match point and now heads to the US Open as a title favorite after several seasons of dismal form and an elbow injury which required surgical intervention.